Majority of people are worried of their appearance, with excess fat deposits on different body areas disturbs the overall shape and figure. With the advancement in technology, different new ways have evolved that treats this problem. One of the best and effective method uses nowadays by doctors is laser liposuction. Yes, laser liposuction has become the top methods to remove the unwanted fat deposits from body giving it a perfect shape. Majority of people in NYC are getting Laser Liposuction benefits. Dr. Elan Singer, M.D with his team of board certified medical practitioners at Laser Klinic in NYC is determined to treat the patients with smartlipo laser liposuction in the best method. Free consultation with our doctors helps us to tailor a proper treatment plan according to the individual needs. The personalized care makes the patients comfortable and relaxes during the treatment. SmartLipo is the medical device especially designed to perform the procedure known as laser liposuction. It is a latest technology that is currently used by the doctors. It gives effective results and proves to have many benefits over the traditional liposuction. SmartLipo uses laser energy to dissolve the fat deposits in the treated areas. 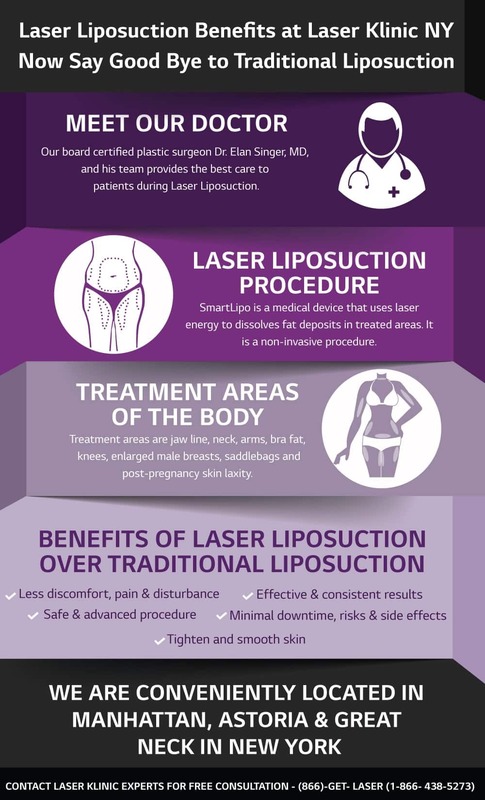 You will get the following benefits on the SmartLipo Laser Liposuction treatment by Laser Klinic experts: Moreover these benefits make laser liposuction best method than traditional liposuction surgery. All these benefits are clinically proven and supported by our experience of the use of this technique. The body areas that treated with SmartLipo include jaw line, neck, arms, bra fat, knees, enlarged male breasts, saddlebags and post-pregnancy skin slackness. In this procedure, SmartLipo laser fiber is inserted using a very thin tube in the targeted fat area through small incision. This laser fiber transfer energy to fatty tissues which causes disruption that results in the removal of these fatty tissues. The laser dissolves the fat which is removed through suction. Also the surrounding tissue gets tighten and smooth. The procedure will take minimum 2 hours but it depends on the number and size of treated areas. 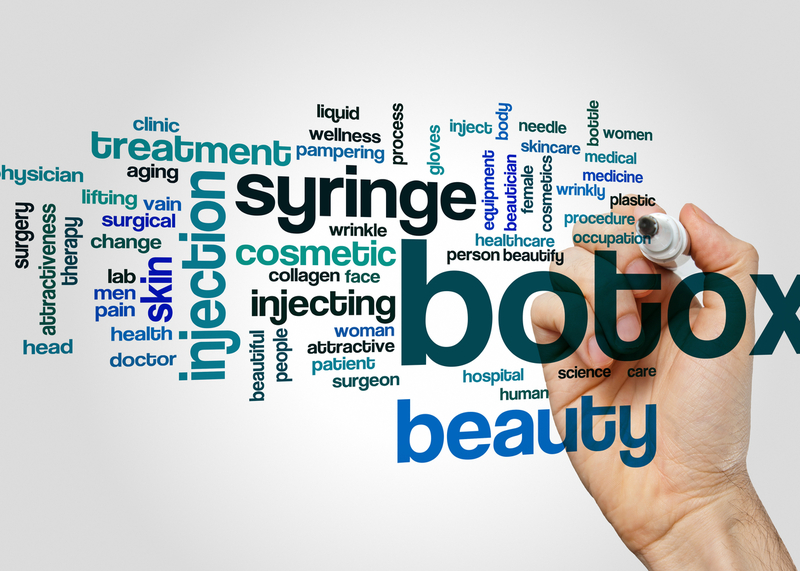 It is a minimal invasive procedure and some light swelling or bruising can occur. But you can return to normal activities in 2-3 days. Although laser liposuction dissolves fat areas but it is important to maintain the healthy diet and regular exercise. If you are interested to treat your fatty areas with SmartLipo Laser Liposuction in Manhattan NY and want to know whether it is the right procedure for you, call us right away for free consultation on (866)-Get-Laser (1-866-438-5273).